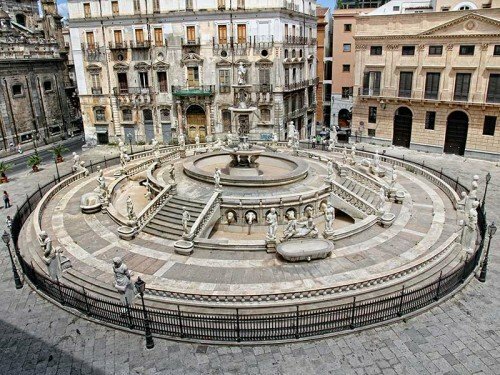 This tour will take you to discover the archaeological ruins in Palermo. It’s a one day walking tour assuming your hotel is in the town centre. Morning: Roman Mosaics (Villa Bonanno-Piazza Sett’Angeli) – Punic Necropolis. Afternoon: Punic fortifications in Palermo, Regional Archaeological Museum of Palermo, “A. Salinas”. This tour will take you to discover one of the latest UNESCO World Heritage Sites in Sicily (July 2015). It is a two day tour which can be done separately. Morning: Martorana Church, San Cataldo, the Cathedral of Palermo and the Royal Palace with its Palatine Chapel. Afternoon: Taxi to Monreale to see the famous Duomo and its Cloister. This Tour will make you discover one of the best artists of the late 17th early 18th centuries, Giacomo Serpotta. 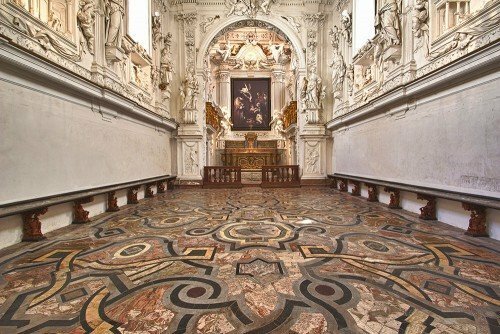 He turned the work of stucco into an art creating wonderful masterpieces for the churches and oratories in Palermo. One day walking tour. Morning: St Lorenzo’s Oratory, Santissimo Rosario’s Oratory, St. Cita’s Oratory. Lunch at local Palermitan Street food parlour. St. Agostino church, Santa Ninfa dei Crociferi church. 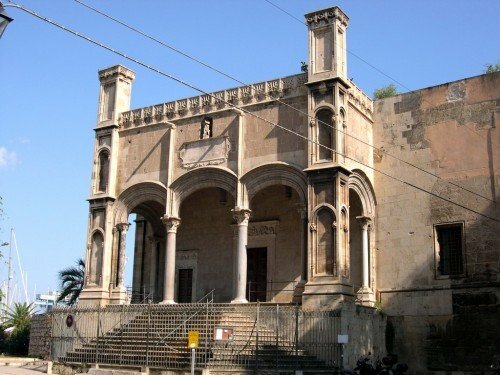 This tour will be concerned with the monuments in and around one of the most famous Piazze in Palermo. 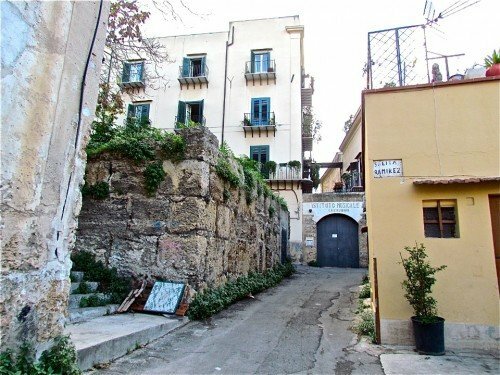 The area is full of history and events that have characterized Palermo. One day walking Tour. Morning: Santa Maria della Catena church; The Steri Palace; The Gancia Church. The Mirto Palace; The Abatellis Palace (Regional Art Museum). This tour will allow you to discover the real soul of Palermo. You will be taken through the three bustling Street Markets of Palermo stopping at some churches and monuments that are on our way. One day walking tour. 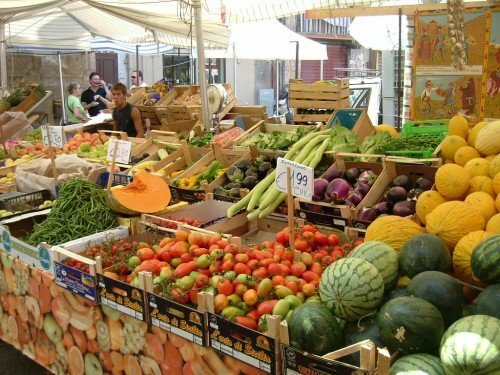 Morning: The Vucciria Street Market; The Capo Street Market. 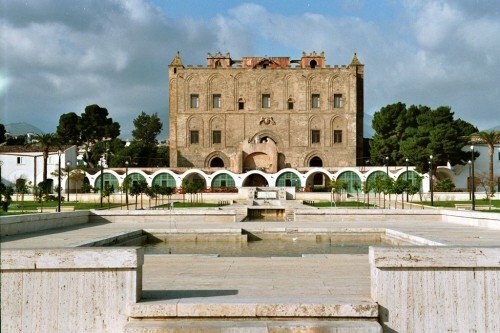 This Tour will take you to some of the most beautiful and unusual places and monuments in Palermo. One day Tour. Transport needed. Morning: The Capuchin Catacombs; The Chinese Palace. Afternoon: Mount Pellegrino, St Rosalia’s Sanctuary. 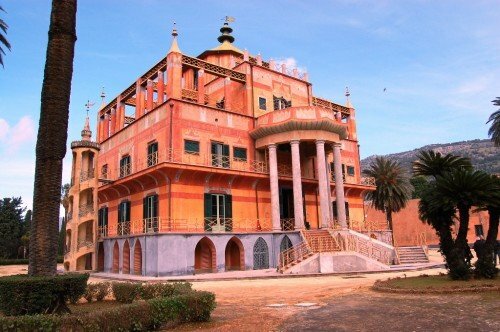 This tour will take you to where the Synagogue was and where the Jews used to live very close to the Martorana church We will then take a taxi to the Zisa to see a precious and unique artefact. 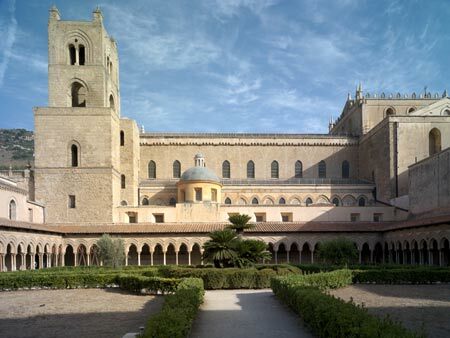 The tour includes visits to the Martorana and the Cathedral. Morning: Walk through the so-called Jewish district, the Guzzetta e the Meschita.